Provide comfort for the family of Cheryl Ducharme with a meaningful gesture of sympathy. Cheryl A. (Mitchell) Ducharme, 60, a lifelong Chelmsford resident passed away unexpectedly on Friday March 29, 2019 at Brigham and Women's Hospital in Boston following a brief illness. She was the loving wife of Donnie Ducharme with whom she would have celebrated 40 years of marriage on May 26th. She was born in Attleboro on June 24, 1958 and was a daughter of the late John “Jack” and Margaret (O'Donnell) Mitchell. Cheryl was a 1976 graduate of Chelmsford High School. Cheryl worked for over ten years at Harris Corporation as a senior marketing event coordinator, a job which she truly enjoyed. Prior to working for Harris she was employed by Skyworks Solutions and M/A-Com Technology for many years. Although her career was a very important part of her life and something she enjoyed, Cheryl's most cherished time was spent with her family and friends. She loved to play with her grandchildren, spend time with her husband and children at the beach, especially in Provincetown, and being in the company of her large extended family and friends. 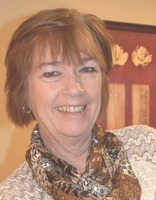 In addition to her husband Donnie, Cheryl is survived by her devoted children, Jonathan Ducharme and his fiancée Amanda Orlando and Danielle Ducharme and her fiancé Bill Page all of Chelmsford; her cherished grandchildren, Katarina, Jack and Madison; her sisters, Doreen Mitchell of Metarie, LA and Pam Clark and her husband Tadd of Groton. Her brother in-law Dominic Gioia of NY, the husband of her late sister, Sharon Gioia. and a large extended family and many dear friends. 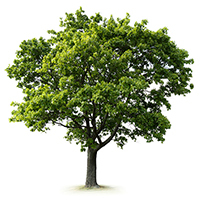 To plant a memorial tree in honor of Cheryl A. Ducharme (Mitchell), please visit our Heartfelt Sympathies Store. Cheryl, you are the most kind and generous person I know. You will live forever in my heart and memories. God Bless you. Cheryl gave me more than I was ever able to return to her. Thank you for your friendship, your guidance, and wisdom. You will be remembered and I will look to pay it forward in your honor. I hope you know how loved your are by so many.